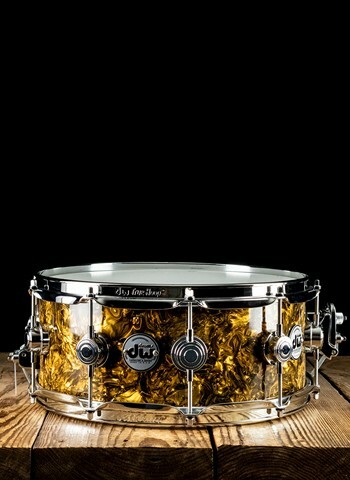 Practically every drummer will tell you that the heart and soul of the drum set is the snare drum. The snare is the single sound that we most associate with the drum set because of its punch, groove, and driving snap that seems to determine most of the character of a groove in music. Striking the drum head in combination with the metal wire snares below on the bottom head are what create the snap and sizzle sound that snare drums have. 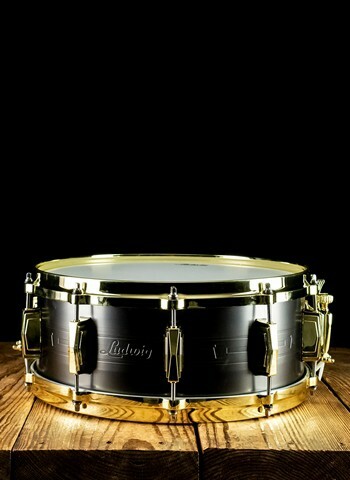 The snare drum started as an evolution of the "Tabor", which would eventually develop into the marching snare, kit snare, and piccolo snare. 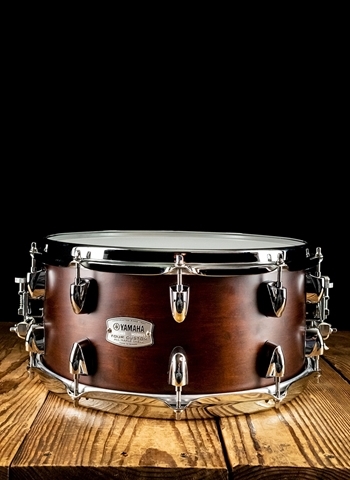 Snare drums range heavily in materials, size, and style. 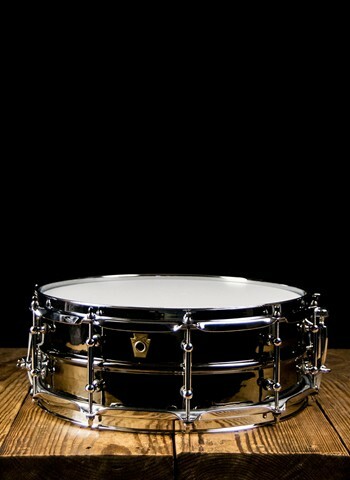 Each of the characteristics aid in the type of sound production that you receive from a snare drum. 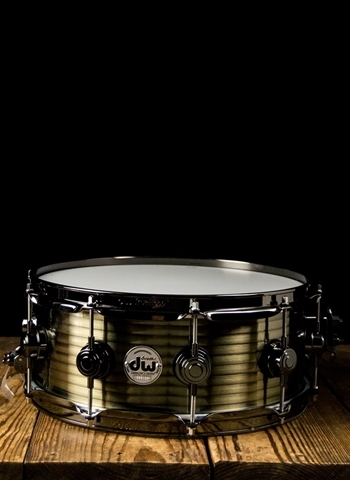 The different styles and types of snare drums will also vary in depth and size, for example a kit snare drum typically will not have the depth of a marching snare. 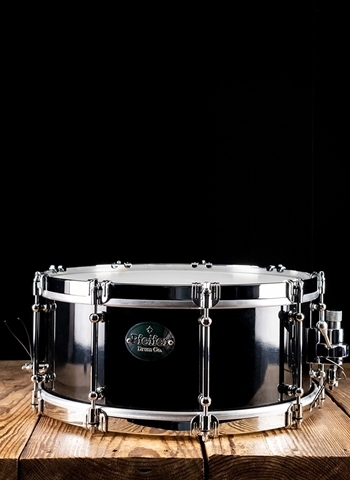 Piccolo snare drums are the smallest in depth and are typically only a few inches deep compared to kit snares or marching snares. There are two different heads on a snare drum like the tom-tom. The top head is the batter head, the one in which you strike when playing to create the sound. The bottom head is the resonant head which also contains the snares below it so that when you strike the batter head the resonant head will also vibrate and thus the snares will be activated and resonate. It is most common to see some type of drumstick, brushes, or mallets used to strike snare drums and varies depending on the type of sound and musical style. It is most common to see a drummer using drumsticks to play a drum set or snare drum especially in styles of rock, pop, blues, heavy, funk, and practically anything. Drummers can also be seen using brushes when playing especially in the realm of jazz music or acoustic music. Brushes create a swirly sort of drum sound as well as provide the opportunity for soft nuance and percussion like character. However, depending on the use brushes can also be used to articulate and play much like you would with drumsticks but at a quieter volume. 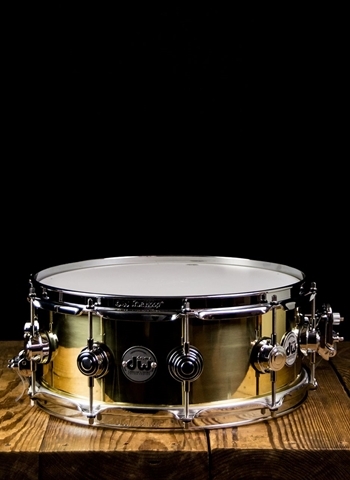 At N Stuff Music we have a vast selection of different styles, types, and brands of snare drums available. Check out our selection of entry level and intermediate snare drums such as PDP's Concept Maple Snare in addition to our selection of piccolo and student snare drums. 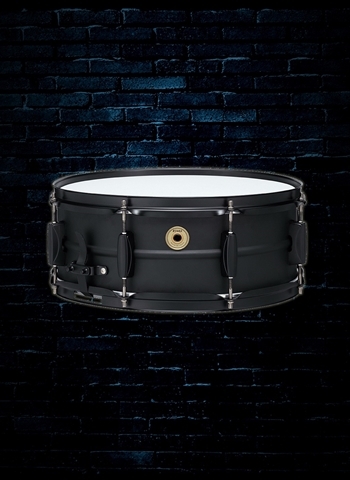 For elite and top of the line snare drums check out ones from Ludwig such as the black beauty, The DW Collector's Series Snare Drum, as well as the Pearl Reference Snare Drum. For any questions regarding what type of snare drum you need or will fit you best just contact our drum expert at N Stuff Music today and he will tailor your search to the best selection for you and ensure that your musical needs are satisfied.